The CDE works to change attitudes through powerful media assets, all focused around the core message that “at work, it’s what people can do that matters.” We do not provide one-on-one assistance to employers or individuals with disabilities seeking training or employment or assistance with employment-related supports. But, there are many resources that do. Hiring people with disabilities offers many benefits to businesses, including added diversity in the workforce, increased employee retention and reduced turnover. 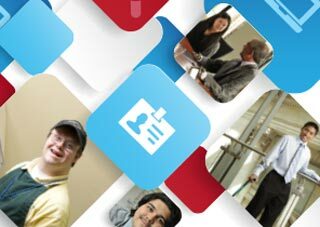 The links below will guide you to tools, resources and organizations that can help employers recruit, hire and advance the employment success of people with disabilities. Finding a job can be challenging, especially if you’re just starting your career or have been out of work. However, there are many programs that offer people with disabilities job training opportunities and help finding employment. To start, choose from the list below.